Marriage*: She married Edward Roberts. [S64] Carolyn L. Bush Laird, The Bush Family As Descended from Richard and Mary Prescott Bush (n.p. : n.pub., 1987) p. 7 (referring to 18 Feb 1697 will of John Savage that names as an heir Elizabeth Roberts, daughter of Edward Roberts and wife Constant, citing to Essex Co., Va. Deeds and Wills, bk. 10, p. 65), 10 (referring to will of John Savage naming Elizabeth Roberts as his granddaughter, citing to Essex Co., Va. Deeds & Wills bk. 21, p. 298). This typewritten, photocopied work was produced by Carolyn L. Bush Laird. A copy is in the Genealogy Collection, Texas State Library, Austin, Tex. [S64] Carolyn L. Bush Laird, [etc. ], above pp. 7 (naming Constant Savage Roberts as her mother), 10 (naming John Savage as her grandfather, citing to Essex Co., Va. Deeds & Wills bk. 21, p. 298). [S64] Carolyn L. Bush Laird, The Bush Family As Descended from Richard and Mary Prescott Bush (n.p. : n.pub., 1987) p. 7 (referring to 18 Feb 1697 will of John Savage that names Mary as his wife, citing to Essex Co., Va. Deeds and Wills, bk. 10, p. 65). This typewritten, photocopied work was produced by Carolyn L. Bush Laird. A copy is in the Genealogy Collection, Texas State Library, Austin, Tex. [S64] Carolyn L. Bush Laird, [etc. ], above p. 7 (referring to his 18 Feb 1697 will that was probated on 11 Aug 1701, citing to Essex Co., Va. Deeds and Wills, bk. 10, p. 65). [S64] Carolyn L. Bush Laird, [etc. ], above p. 7 (citing "Essex County, Virginia Deeds and Wills Book #10," p. 64). [S64] Carolyn L. Bush Laird, [etc. ], above p. 7 (referring to 18 Feb 1697 will of John Savage that names as an heir Elizabeth Roberts, daughter of Edward Roberts and wife Constant, citing to Essex Co., Va. Deeds and Wills, bk. 10, p. 65), 10 (referring to will of John Savage naming Elizabeth Roberts as his granddaughter, citing to Essex Co., Va. Deeds & Wills bk. 21, p. 298). [S64] Carolyn L. Bush Laird, [etc. ], above p. 7 (referring to 18 Feb 1697 will of John Savage that names as an heir Judith Parr, daughter of Phillip Parr and wife Judith, citing to Essex Co., Va. Deeds and Wills, bk. 10, p. 65). [S1108] Social Security Death Index, online at http://tinyurl.com/RootswebSSDI, viewed on 13 Jan 2007. [S961] Find A Grave, online at http://www.findagrave.com, memorial for William Grim Fuller, memorial no. 60301247, viewed on 25 Jan 2019 (giving the year but no other information). [S1108] Social Security Death Index, online at http://tinyurl.com/RootswebSSDI, viewed on 13 Jan 2007 (stating that he died on 19 Jan 1997; not naming the place of death but stating that he lived in Texarkana, Tex. when he died). [S1559] Texas Death Index, 1964-1998, online at https://www.familysearch.org, record for William Grim Fuller, viewed on 25 Jan 2019. [S961] Find A Grave, online, above, memorial for William Grim Fuller, memorial no. 60301247, viewed on 25 Jan 2019. [S64] Carolyn L. Bush Laird, The Bush Family As Descended from Richard and Mary Prescott Bush (n.p. : n.pub., 1987) pp. 19, 20 (citing "North Carolina Archives, Secretary of State Original Wills, Craven Precinct, Will of William Prescott"), 21. This typewritten, photocopied work was produced by Carolyn L. Bush Laird. A copy is in the Genealogy Collection, Texas State Library, Austin, Tex. [S64] Carolyn L. Bush Laird, [etc. ], above p. 20 (naming Aaron Prescott as his father). [S64] Carolyn L. Bush Laird, [etc. ], above p. 20. [S64] Carolyn L. Bush Laird, [etc. ], above p. 20 (citing to will of William Prescott dated 17 Mar 1745, North Carolina Archives, Secretary of State Original Wills, Currituck Precinct, stating that inventory began Mar 1745 and that administration began in Sep 1745 and was recorded in Dec 1745). [S64] Carolyn L. Bush Laird, [etc. ], above p. 20 (naming Aaron Prescott as her father). [S64] Carolyn L. Bush Laird, The Bush Family As Descended from Richard and Mary Prescott Bush (n.p. : n.pub., 1987) pp. 19-21. This typewritten, photocopied work was produced by Carolyn L. Bush Laird. A copy is in the Genealogy Collection, Texas State Library, Austin, Tex. [S64] Carolyn L. Bush Laird, [etc. ], above p. 20 (indicating that Mary Smith was his mother). [S64] Carolyn L. Bush Laird, [etc. ], above p. 20 (indicating that Mary Smith was her mother). Fannie Norvell Carter, courtesy of John Norvell. 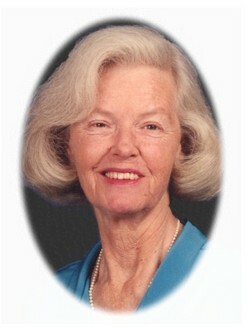 "Funeral services will be held today at 2 p.m. for Mrs. W. W. Carter, wife of the late Dr. W. W. Carter. She had lived in Navarro County all her life, and her husband who preceded her in death in 1964, had a practice here beginning in 1903. "Mrs. Carter died Friday in Memorial Hospital at the age of 91. Services will be held at Corley Funeral Home Chapel. Dr. H. Lively Brown will officiate and interment will be in Oakwood Cemetery. She was a member of the Methodist Church. "Surviving are three daughters, Mrs. R. L. Burnett of Lompoc, Calif., Mrs. W. S. Price of Kerens and Mrs. W. L. Holman of Corsicana; four grandchildren and ten great-grandchildren. [S8] Corsicana Daily Sun, Corsicana, Tex., 6 Jul 1912, p. 1, col. 3 (naming S. J. Norvell, Sr. as her father). [S961] Find A Grave, online at http://www.findagrave.com, memorial for Fannie Norvell Carter, memorial no. 115277702, viewed on 5 Jun 2014 (naming Samuel J. Norvell as her father). [S8] Corsicana Daily Sun, Corsicana, Tex., 7 Mar 1913, p. 3, col. 4 (naming Mrs. Frances Norvell as her mother). [S961] Find A Grave, online, above, memorial for Fannie Norvell Carter, memorial no. 115277702, viewed on 5 Jun 2014 (naming Frances Callaway Bartlett Norvell as her mother). [S190] Navarro County Cemetery Records, vol. 10 (Corsicana, Tex. : The Navarro County Gen. Soc'y, 1990), p. 86. [S961] Find A Grave, online, above, memorial for Fannie Norvell Carter, memorial no. 115277702, viewed on 5 Jun 2014. [S31] Navarro Leaves and Branches, vol. XVIII, no. II (May 1995), p. 37, and vol. XIX, no. II (May 1996), p. 27 (both citing Navarro County, Tex. Marriage Records, bk. XIV, p. 412). [S961] Find A Grave, online, above, memorial for Fannie Norvell Carter, memorial no. 115277702, viewed on 5 Jun 2014 (not giving the date or place). [S961] Find A Grave, online, above, memorial for William Walter Carter, memorial no. 115277637, viewed on 5 Jun 2014 (not giving the date or place). [S190] Navarro County Cemetery Records, vol. 10, above, p. 86 (giving the date but not the place). [S11] Index to Texas Death Records (Austin, Tex. : Tex. Dept. of Health, Bur. of Vital Statistics), typescript, 1970, vol. 1, p. 239, file 66622. [S961] Find A Grave, online, above, memorial for Fannie Norvell Carter, memorial no. 115277702, viewed on 5 Jun 2014 (giving the date but not the place). [S1207] Corsicana Daily Sun, Corsicana, Tex., online archive at http://corsicana.newspaperarchive.com, 30 Aug 1970, p. 8A, cols. 1-2 (obituary of Mrs. W. W. Carter). [S190] Navarro County Cemetery Records, vol. 10, above, p. 86 (not giving the date). [S1207] Corsicana Daily Sun, Corsicana, Tex., online archive, above, 30 Aug 1970, p. 8A, cols. 1-2 (reprinted here with consent of the Corsicana Daily Sun). [S961] Find A Grave, online, above, memorial for Billie Jean Carter, memorial no. 101815977, viewed on 5 Jun 2014 (naming Fannie Norvell as her mother). William Walter Carter M. D.
Dr. William Walter Carter, courtesy of John Norvell. "Funeral for Dr. W. W. Carter was conducted at 11 a.m. Wednesday [15 Apr 1964] from the Corley chapel with burial in Oakwood cemetery. "Rev. N. H. Kupferle, pastor of First Methodist church, of which he was a member, officiated. "Dr. Carter, 85, a retired physician and dean of the Navarro County Medical Society, died at his home, 328 South Thirty-First street, Monday afternoon after an extended illness. "A native of Mississippi, he started his medical practice in Leland, Texas, moved to Bazette and later to Powell where he lived until moving to Corsicana 41 years ago. "A graduate of the University of Tennessee medical college, Dr. Carter was a former Navarro county health officer. "He was one of the organizers of the Powell State Bank with the late J. O. Burke who died last month and was a director and vice president of this bank until a few years ago. "Survivors are his wife of Corsicana; three daughters, Mrs. R. L. Burnet, Vandenberg AFB, Calif; Mrs. Will S. Price, Kerens, and Mrs. W. L. Holman, Corsicana; four grandchildren and seven great-grandchildren. "Pallbearers were Ben Sloan, Paul Sloan, Newell Gotcher, Artis Drain, Allan Bancroft, Dr. L. E. Kelton, J. C. Roe and Hoyt Moore. [S190] Navarro County Cemetery Records, vol. 10 (Corsicana, Tex. : The Navarro County Gen. Soc'y, 1990), p. 86 (giving the date but not the place). [S312] Social Security Death Index, online at http://tinyurl.com/AncestrySSDI, viewed on 3 Mar 1998 (giving the date but not the place). [S961] Find A Grave, online at http://www.findagrave.com, memorial for William Walter Carter, memorial no. 115277637, viewed on 5 Jun 2014 (giving the date but not the place). [S1207] Corsicana Daily Sun, Corsicana, Tex., online archive at http://corsicana.newspaperarchive.com, 15 Apr 1964, p. 12, col. 7 (obituary of Dr. W. W. Carter) (not giving the date; stating that he was a native of Mississippi). [S11] Index to Texas Death Records (Austin, Tex. : Tex. Dept. of Health, Bur. of Vital Statistics), typescript, 1964, vol. 1, p. 214, file 25439. [S312] Social Security Death Index, online at http://tinyurl.com/AncestrySSDI, viewed on 3 Mar 1998 (stating that he died in Apr 1964; not naming the place of death). [S1207] Corsicana Daily Sun, Corsicana, Tex., online archive, above, 15 Apr 1964, p. 12, col. 7 (obituary of Dr. W. W. Carter) (stating that he died "after an extended illness"). [S961] Find A Grave, online, above, memorial for William Walter Carter, memorial no. 115277637, viewed on 5 Jun 2014 (not giving the date). [S1207] Corsicana Daily Sun, Corsicana, Tex., online archive, above, 15 Apr 1964, p. 12, col. 7 (obituary of Dr. W. W. Carter). [S1207] Corsicana Daily Sun, Corsicana, Tex., online archive, above, 15 Apr 1964, p. 12, col. 7 (reprinted here with consent of the Corsicana Daily Sun). [S961] Find A Grave, online, above, memorial for Sybil Carter Holman, memorial no. 115613847, viewed on 5 Jun 2014 (naming William Walter Carter as her father). [S961] Find A Grave, online, above, memorial for Billie Jean Carter, memorial no. 101815977, viewed on 5 Jun 2014 (naming William Walter Carter as her father). [S961] Find A Grave, online at http://www.findagrave.com, memorial for Billie Jean Carter, memorial no. 101815977, viewed on 5 Jun 2014 (naming William Walter Carter as her father). [S961] Find A Grave, online, above, memorial for Billie Jean Carter, memorial no. 101815977, viewed on 5 Jun 2014. Marriage*: He married Mamie Perryman. Other Names*: Jesse Thomas Norvell, Thomas Jessie Norvell, Tom Norvell. "Thomas J. Norvell, 88, retired farmer, formerly of Rice, died in Paulyne's Convalescent Home [Corsicana, Texas] Monday night [12 Jul 1965]. "Funeral services are to be held Tuesday at 3:30 p. m. from the Corley Chapel. Burial will be in the Rice cemetery. "The rites will be conducted by Rev. 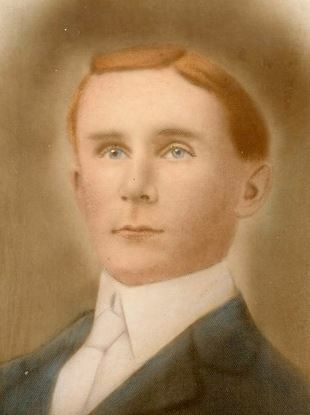 James T. Davis. "Surviving are his wife, who is also in Paulyne's Home, Corsicana; [a son; three grandchildren; a sister; and other relatives]. [S8] Corsicana Daily Sun, Corsicana, Tex., 6 Jul 1912, p. 1, col. 3 (giving his name as T. J. Norvell and naming S. J. Norvell, Sr. as his father). [S8] Corsicana Daily Sun, Corsicana, Tex., 7 Mar 1913, p. 3, col. 4 (giving his name as T. J. Norvell and naming Mrs. Frances Norvell as his mother). [S440] Navarro County Cemetery Records, vol. 4 (Corsicana, Tex. : The Navarro County Gen. Soc'y, 1985), p. 103 (giving his name as Thomas Norvell). [S1207] Corsicana Daily Sun, Corsicana, Tex., online archive at http://corsicana.newspaperarchive.com, 13 Jul 1965, p. 3, col. 2 (obituary of Thomas J. Norvell) (not giving the date but giving his age as 88 when he died on 12 Jul 1965). [S11] Index to Texas Death Records (Austin, Tex. : Tex. Dept. of Health, Bur. of Vital Statistics), typescript, 1965, vol. 3, p. 1002, file 45698 (giving his name as Thomas Jessie Norvell) (giving the date and the county but no other information). [S440] Navarro County Cemetery Records, vol. 4, above, p. 103 (giving his name as Thomas Norvell, giving only the year, and not naming the place). [S1207] Corsicana Daily Sun, Corsicana, Tex., online archive, above, 13 Jul 1965, p. 3, col. 2 (obituary of Thomas J. Norvell). [S440] Navarro County Cemetery Records, vol. 4, above, p. 103 (giving his name as Thomas Norvell) (naming the cemetery but not giving the date). [S1207] Corsicana Daily Sun, Corsicana, Tex., online archive, above, 13 Jul 1965, p. 3, col. 2, reprinted here with consent of the Corsicana Daily Sun. Marriage*: She married Thomas Jesse Norvell, son of Samuel Johnson Norvell and Frances Callaway ('Fannie') Bartlett. Other Names*: Mamie Perryman Norvell, Mamie Norvell. [S312] Social Security Death Index, online at http://tinyurl.com/AncestrySSDI, viewed on 22 Aug 1999. [S440] Navarro County Cemetery Records, vol. 4 (Corsicana, Tex. : The Navarro County Gen. Soc'y, 1985), p. 103 (giving only the year). [S440] Navarro County Cemetery Records, vol. 4, above, p. 103. [S137] Index to Texas Delayed Probate Birth Records (Austin, Tex. : Tex. Dept. of Health, Bur. of Vital Statistics), vol. 27, p. 13022, file 26628. [S312] Social Security Death Index, online at http://tinyurl.com/AncestrySSDI, viewed on 27 Mar 1998 (not naming the place of death but stating that he lived in Dallas, Texas when he died). [S1559] Texas Death Index, 1964-1998, online at https://www.familysearch.org, record for Jesse L. Norvell, viewed on 25 Jan 2019. [S1207] Corsicana Daily Sun, Corsicana, Tex., online archive at http://corsicana.newspaperarchive.com, 13 Jul 1965, p. 3, col. 2 (obituary of Thomas J. Norvell). ""Samuel Johnson Norvell, 79, Beeville attorney, died in San Antonio March 21, 1953. "Born in Rice Nov. 18, 1874, Mr. Norvell received his law degree from the University of Texas, and was admitted to the Texas Bar in 1906. "He served as law clerk in the U. S. general land office, and was internal revenue agent in the estate tax division of the Internal Revenue office. "His special interests were hunting and studying history. "He married Lillye Brooks in 1912, and she survives him. Other survivors include a daughter, Mrs. Louis Kohnke Jr., San Antonio; a son, Sam Norvell, Harlingen; a sister, Mrs. W. W. Carter, Corsicana; and a brother, Tom Norvell, Rice." [S8] Corsicana Daily Sun, Corsicana, Tex., 6 Jul 1912, p. 1, col. 3 (naming S. J. Norvell, Sr. as his father). [S8] Corsicana Daily Sun, Corsicana, Tex., 7 Mar 1913, p. 3, col. 4 (naming Mrs. Frances Norvell as his mother). [S815] Texas Bar Journal, Nov 1953, p. 719 (obituary of Samuel Johnson Norvell). [S11] Index to Texas Death Records (Austin, Tex. : Tex. Dept. of Health, Bur. of Vital Statistics), typescript, 1946-55, vol. 16, p. 7610, file 11692 (giving the county, state, and date but not the city). [S137] Index to Texas Delayed Probate Birth Records (Austin, Tex. : Tex. Dept. of Health, Bur. of Vital Statistics), vol. 27, p. 13022, file 819971. [S11] Index to Texas Death Records (Austin, Tex. : Tex. Dept. of Health, Bur. of Vital Statistics), typescript, 1976, vol. 3, p. 1218, file 98679. [S312] Social Security Death Index, online at http://tinyurl.com/AncestrySSDI, viewed on 27 Mar 1998 (stating that he died in Dec 1976; not naming the place of death but stating that he lived in Harlingen, Texas when he died). Other Names*: James R. Norvell, James Norvell, J. R. Norvell. "James R. Norvell, 61, resident of the Rice community all of his life, died at the home of his brother-in-law and sister, Dr. and Mrs. W. W. Carter, 320 South Thirty-first street Saturday afternoon [14 Apr 1934]. "The funeral was held from the Rice Methodist church Sunday afternoon at 3 o’clock with burial in the Rice cemetery. The rites were conducted by Rev. W. W. Moss, pastor of the church. "Surviving are a sister, Mrs. Carter, Corsicana, and two brothers, T. J. Norvell, Rice, and S. J. Norvell, Harlingen. [S6] Holy Bible (Philadelphia, Pa.: M. Carey & Son, 1817), p. 680 (giving his name as James Norvell). This bible was originally owned by Jesse Bartlett and Frances Callaway Bartlett and was in the possession of Ruby Lynn Shelton, Rice, Tex., in 1974. On the flyleaf, believed to be in Jesse's hand, is "Jesse Bartlett his Book." [S9] Grave marker, Rice Cemetery, Rice, Tex. (giving only the year). [S440] Navarro County Cemetery Records, vol. 4 (Corsicana, Tex. : The Navarro County Gen. Soc'y, 1985), p. 88 (giving only the year). [S67] The Dallas Morning News, Dallas, Tex., 17 Apr 1934, sec. 2, p. 12 (obituary of James B. Norvell) (not giving the date but stating that he was sixty-one years old when he died on 14 Apr 1934). [S961] Find A Grave, online at http://www.findagrave.com, memorial for James Ben Norvell, memorial no. 39986161, viewed on 26 Aug 2011. [S11] Index to Texas Death Records (Austin, Tex. : Tex. Dept. of Health, Bur. of Vital Statistics), typescript, 1903-40, v. 38, p. 18628, file 19363 (giving the county, state, and date but not the city). [S440] Navarro County Cemetery Records, vol. 4, above, p. 88 (giving only the year and not naming the place). [S67] The Dallas Morning News, Dallas, Tex., 17 Apr 1934, sec. 2, p. 12 (obituary of James B. Norvell). [S961] Find A Grave, online, above, memorial for James Ben Norvell, memorial no. 39986161, viewed on 26 Aug 2011 (giving the date but not the place). [S1207] Corsicana Daily Sun, Corsicana, Tex., online archive at http://corsicana.newspaperarchive.com, 16 Apr 1934, p. 7, col. 6 (obituary of James R. Norvell) (stating that he died in the afternoon at his sister's home). [S9] Grave marker, Rice Cemetery, Rice, Tex. (naming the place but not giving the date). [S440] Navarro County Cemetery Records, vol. 4, above, p. 88 (naming the place but not giving the date). [S1207] Corsicana Daily Sun, Corsicana, Tex., online archive, above, 16 Apr 1934, p. 7, col. 6 (obituary of James R. Norvell). [S1207] Corsicana Daily Sun, Corsicana, Tex., online archive, above, 16 Apr 1934, p. 7, col. 6, reprinted here with consent of the Corsicana Daily Sun. [S67] The Dallas Morning News, Dallas, Tex., 17 Apr 1934, sec. 2, p. 12 (obituary of James B. Norvell) (naming his survivors and stating that he lived in Rice, Texas all his life). [S9] Grave marker, Rice Cemetery, Rice, Tex. (naming S. J. Norvell as his father). [S440] Navarro County Cemetery Records, vol. 4 (Corsicana, Tex. : The Navarro County Gen. Soc'y, 1985), p. 89 (naming S. J. Norvell as his father). [S9] Grave marker, Rice Cemetery, Rice, Tex. (naming F. C. Norvell as his mother). [S440] Navarro County Cemetery Records, vol. 4, above, p. 89 (naming F. C. Norvell as his father). [S6] Holy Bible (Philadelphia, Pa.: M. Carey & Son, 1817), p. 680. This bible was originally owned by Jesse Bartlett and Frances Callaway Bartlett and was in the possession of Ruby Lynn Shelton, Rice, Tex., in 1974. On the flyleaf, believed to be in Jesse's hand, is "Jesse Bartlett his Book." [S440] Navarro County Cemetery Records, vol. 4, above, p. 89 (spelling his name as Lucian). • A biography of Jesse Callaway Bartlett published in The Historical Encyclopedia of Texas in 1936 is here. [S239] Lineage of Mrs. Bessie Lee Bartlett Buchanan, Founders and Patriots of the Republic of Texas: The Lineages of the Members of the Daughters of the Republic of Texas (Austin, Tex. : The Daughters of the Republic of Texas, 1963), p. 556 (naming Thomas Smith Bartlett as his father). [S333] Ellis Arthur Davis, ed., The Historical Encyclopedia of Texas, rev. ed. (n.p. : Texas Historical Society, n.d. [CA. 1936]), vol. II, p. 687 (naming T. S. Bartlett as his father). [S67] The Dallas Morning News, Dallas, Tex., 6 Nov 1922, sec. 1, p. 6 (obituary of Thomas S. Bartlett) (naming Thomas S. Bartlett as his father). [S239] Lineage of Mrs. Bessie Lee Bartlett Buchanan, above (indicating that Sally Edmundson was his mother). [S239] Lineage of Mrs. Bessie Lee Bartlett Buchanan, above. [S333] Ellis Arthur Davis, ed., The Historical Encyclopedia of Texas, rev. ed., above, vol. II, p. 687 (stating that he was born near Corsicana). [S43] Marriage Records, Navarro County, Tex., vol. 7, p. 349 (issued on 24 Dec 1892 but no return noted) (giving her name as Mamie Donaldson). [S239] Lineage of Mrs. Bessie Lee Bartlett Buchanan, above (giving the date but not the place). [S1375] The Fort Worth Daily Gazette, Fort Worth, Tex., online at http://www.newspapers.com, 1 Jan 1893, p. 8, col. 6 (identifying him as "Professor J. C. Bartlett"). [S11] Index to Texas Death Records (Austin, Tex. : Tex. Dept. of Health, Bur. of Vital Statistics), typescript, 1951, vol. 1, file 60016. [S239] Lineage of Mrs. Bessie Lee Bartlett Buchanan, above (not giving the county). [S961] Find A Grave, online at http://www.findagrave.com, memorial for Jessie Callaway Bartlett, memorial no. 59255786. [S333] Ellis Arthur Davis, ed., The Historical Encyclopedia of Texas, rev. ed., above, vol. II, p. 687. [S239] Lineage of Mrs. Bessie Lee Bartlett Buchanan, above (naming Jesse Callaway Bartlett as her father). [S333] Ellis Arthur Davis, ed., The Historical Encyclopedia of Texas, rev. ed., above, vol. II, p. 687 (naming Jesse C. Bartlett as her father). [S333] Ellis Arthur Davis, ed., The Historical Encyclopedia of Texas, rev. ed., above, vol. II, p. 687 (naming Jesse C. Bartlett as his father). [S333] Ellis Arthur Davis, ed., The Historical Encyclopedia of Texas, rev. ed., above, vol. II, p. 687 (giving her name as Maybelle and naming Jesse C. Bartlett as her father). Other Names*: Mamie Donaldson, Mary Emma Donaldson Bartlett, Mary Emma Bartlett, Mamie Bartlett. • To view her memorial on Find A Grave, click here. [S333] Ellis Arthur Davis, ed., The Historical Encyclopedia of Texas, rev. ed. (n.p. : Texas Historical Society, n.d. [CA. 1936]), vol. II, p. 687 (giving her name as Mamie and naming Dan Donaldson of Navarro County, Texas as her father). [S168] Bess Bartlett Buchanan, Wichita Falls, Tex., miscellaneous papers, (chart of Nimrod Williams's descendants, provided by Garrett B. Drummond, Jr. to Roger Bartlett 28 Jun 1973, naming Col. Dan Donaldson as her father). Copies of these papers were provided by Garrett B. Drummond, Jr., 567 South L St., Livermore, Calif. 94550, to Roger Bartlett in June 1973. [S168] Bess Bartlett Buchanan, miscellaneous papers, above, (chart of Nimrod Williams's descendants, provided by Garrett B. Drummond, Jr. to Roger Bartlett 28 Jun 1973, naming Elgiva Angeline Martin as her mother). [S961] Find A Grave, online at http://www.findagrave.com, memorial for Mary E. Bartlett, memorial no. 59255787. [S239] Lineage of Mrs. Bessie Lee Bartlett Buchanan, above (indicating that Mary (Mamie) Emma Donaldson was her mother). [S333] Ellis Arthur Davis, ed., The Historical Encyclopedia of Texas, rev. ed., above, vol. II, p. 687 (naming Mamie Donaldson as her mother). [S333] Ellis Arthur Davis, ed., The Historical Encyclopedia of Texas, rev. ed., above, vol. II, p. 687 (naming Mamie Donaldson as his mother). [S333] Ellis Arthur Davis, ed., The Historical Encyclopedia of Texas, rev. ed., above, vol. II, p. 687 (giving her name as Maybelle and naming Mamie Donaldson as her mother). Birth*: He was born on 31 May 1833 in Owensborough, Daviess County, Kentucky. Death*: He died on 6 October 1886 in Ennis, Ellis County, Texas, at age 53. 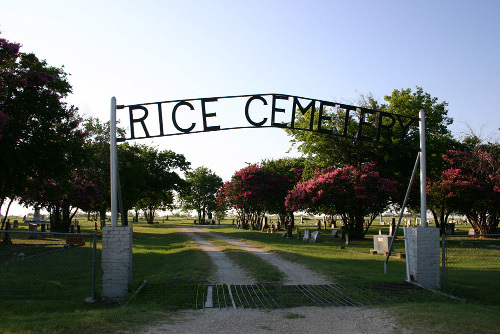 Burial*: Interment was in Corsicana, Navarro County, Texas. [S168] Bess Bartlett Buchanan, Wichita Falls, Tex., miscellaneous papers, (chart of Nimrod Williams's descendants, provided by Garrett B. Drummond, Jr. to Roger Bartlett 28 Jun 1973) (not giving the date). Copies of these papers were provided by Garrett B. Drummond, Jr., 567 South L St., Livermore, Calif. 94550, to Roger Bartlett in June 1973. [S168] Bess Bartlett Buchanan, miscellaneous papers, above, (chart of Nimrod Williams's descendants, provided by Garrett B. Drummond, Jr. to Roger Bartlett 28 Jun 1973, naming Col. Dan Donaldson as her father). Burial*: Interment was in Rosemont Cemetery, Wichita Falls, Wichita County, Texas. 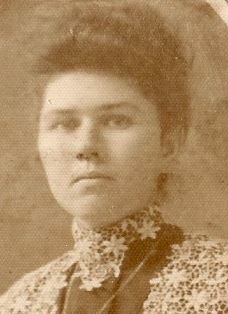 Birth*: She was born on 14 June 1840 in Coldspring, San Jacinto County, Texas. Death*: She died on 31 October 1925 in Wichita Falls, Wichita County, Texas, at age 85. [S168] Bess Bartlett Buchanan, Wichita Falls, Tex., miscellaneous papers, (chart of Nimrod Williams's descendants, provided by Garrett B. Drummond, Jr. to Roger Bartlett 28 Jun 1973, naming Mary Ann Hampton as her mother). Copies of these papers were provided by Garrett B. Drummond, Jr., 567 South L St., Livermore, Calif. 94550, to Roger Bartlett in June 1973. [S168] Bess Bartlett Buchanan, miscellaneous papers, above, (chart of Nimrod Williams's descendants, provided by Garrett B. Drummond, Jr. to Roger Bartlett 28 Jun 1973, naming Dr. G. L. Martin as her father). [S168] Bess Bartlett Buchanan, miscellaneous papers, above, (chart of Nimrod Williams's descendants, provided by Garrett B. Drummond, Jr. to Roger Bartlett 28 Jun 1973) (not giving the date). Other Names*: Bessie Lee Bartlett Buchanan, Bess Bartlett, Bess Bartlett Buchanan, Bess Buchanan. [S168] Bess Bartlett Buchanan, Wichita Falls, Tex., miscellaneous papers, (chart of Nimrod Williams's descendants). Copies of these papers were provided by Garrett B. Drummond, Jr., 567 South L St., Livermore, Calif. 94550, to Roger Bartlett in June 1973. [S239] Lineage of Mrs. Bessie Lee Bartlett Buchanan, Founders and Patriots of the Republic of Texas: The Lineages of the Members of the Daughters of the Republic of Texas (Austin, Tex. : The Daughters of the Republic of Texas, 1963), p. 556 (naming Jesse Callaway Bartlett as her father). [S333] Ellis Arthur Davis, ed., The Historical Encyclopedia of Texas, rev. ed. (n.p. : Texas Historical Society, n.d. [CA. 1936]), vol. II, p. 687 (naming Jesse C. Bartlett as her father). [S137] Index to Texas Delayed Probate Birth Records (Austin, Tex. : Tex. Dept. of Health, Bur. of Vital Statistics), sec. 2, vol. 1, p. 332, file 1050681. [S239] Lineage of Mrs. Bessie Lee Bartlett Buchanan, above (giving only the place). [S11] Index to Texas Death Records (Austin, Tex. : Tex. Dept. of Health, Bur. of Vital Statistics), typescript, 1983 (microfiche), p. 242, file 15491-83. [S312] Social Security Death Index, online at http://tinyurl.com/AncestrySSDI, viewed on 24 Feb 1998 (stating that she died in Feb 1983; not naming the place of death but stating that she lived in Wichita Falls, Texas when she died). [S961] Find A Grave, online at http://www.findagrave.com, memorial for Bess Bartlett Buchanan, memorial no. 59256532. [S312] Social Security Death Index, online at http://tinyurl.com/AncestrySSDI, viewed on 28 May 2005 (not naming the place of death but stating that last benefits were sent to an address in Wichita Falls, Tex.). "Miss Loring was the daughter of a prominent family of McMinville [sic], and Mr. Bartlett, who is well known here, is the son of Mr. and Mrs. J. C. Bartlett of Wichita Falls. He is a graduate of Wichita Falls high school and of the Bliss Electrical School in Washington City. "The marriage took place at the First Baptist church in McMinville [sic], Rev. R. T. Skinner saying the ceremony. Following the marriage Mr. and Mrs. Bartlett were entertained at dinner at the home of the bride’s parents. Note*: He operated a photography studio in Wichita Falls, Texas with his father. • Click here to view his Find A Grave memorial. [S333] Ellis Arthur Davis, ed., The Historical Encyclopedia of Texas, rev. ed. (n.p. : Texas Historical Society, n.d. [CA. 1936]), vol. II, p. 687 (naming Jesse C. Bartlett as his father). [S137] Index to Texas Delayed Probate Birth Records (Austin, Tex. : Tex. Dept. of Health, Bur. of Vital Statistics), vol. 2, p. 961, file 563065. [S1388] Wichita Daily Times, Wichita Falls, Tex., online at http://www.newspapers.com, 9 Jul 1922, p. 13, col. 6. [S11] Index to Texas Death Records (Austin, Tex. : Tex. Dept. of Health, Bur. of Vital Statistics), typescript, 1962, vol. 1, p. 73, file 26698. [S961] Find A Grave, online at http://www.findagrave.com, memorial for Clyde D. Bartlett, memorial no. 59255784. Other Names*: Bettie Lou Loring, Betty Loring, Bettie Loring, Betty Lou Loring Bartlett, Betty Lou Bartlett, Betty Bartlett, Bettie Lou Loring Bartlett, Bettie Lou Bartlett, Bettie Bartlett. [S961] Find A Grave, online at http://www.findagrave.com, memorial for Bettie Lou Bartlett, memorial no. 59255783. Bettye Don Bartlett Graves, courtesy of Shirley Hart Dillingham. Other Names*: Bettye Don Bartlett Graves, Bettye Bartlett Graves, Bettye Don Graves, Bettye Graves. • Her Find A Grave memorial, which includes her obituary from the Marshall News Messenger, Marshall, Tex., is here. [S961] Find A Grave, online at http://www.findagrave.com, memorial for Bettye Don Bartlett Graves, memorial no. 75795046, viewed on 26 Jul 2017. Other Names*: Johnson Graves, J.P. Graves. • His Find A Grave memorial, which includes his obituary in the Longview News-Journal, Longview, Tex., is here. [S961] Find A Grave, online at http://www.findagrave.com, memorial for Dr. Johnson Pace Graves, memorial no. 21945876, viewed on 26 Jul 2017. [S961] Find A Grave, online, above, memorial for Bettye Don Bartlett Graves, memorial no. 75795046, viewed on 26 Jul 2017. [S58] Index to Texas Birth Records (Austin, Tex. : Tex. Dept. of Health, Bur. of Vital Statistics), typescript 1932, vol. 1, p. 110, file 74839. [S11] Index to Texas Death Records (Austin, Tex. : Tex. Dept. of Health, Bur. of Vital Statistics), typescript, 1964-1988 (microfiche), p. 2332, file 79140-87 (birth and death).